It’s a media saturated world, and communicators are constantly battling to break through to get their content noticed. 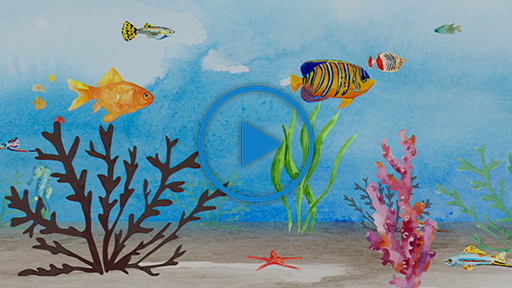 Many organizations and teams, though, need help producing and placing compelling multimedia stories that stand out and engage with valued audiences. 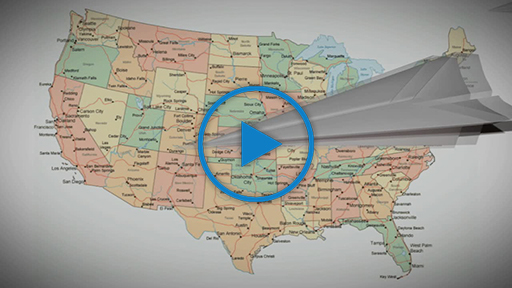 PR Newswire’s award-winning creative production, distribution and media strategy group. 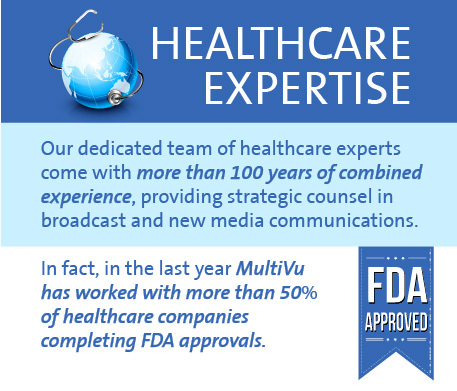 Our expert MultiVu team-members can produce and place compelling video and content across any channel, anywhere, that will inspire action from your audience and deliver results. 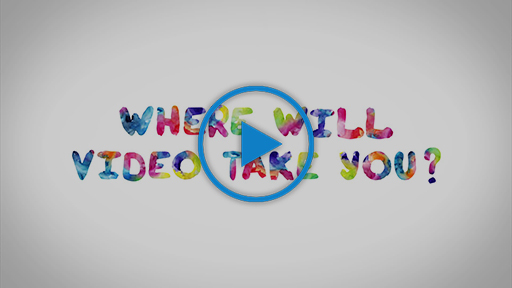 Behind the scenes - Where Will Video Take You? 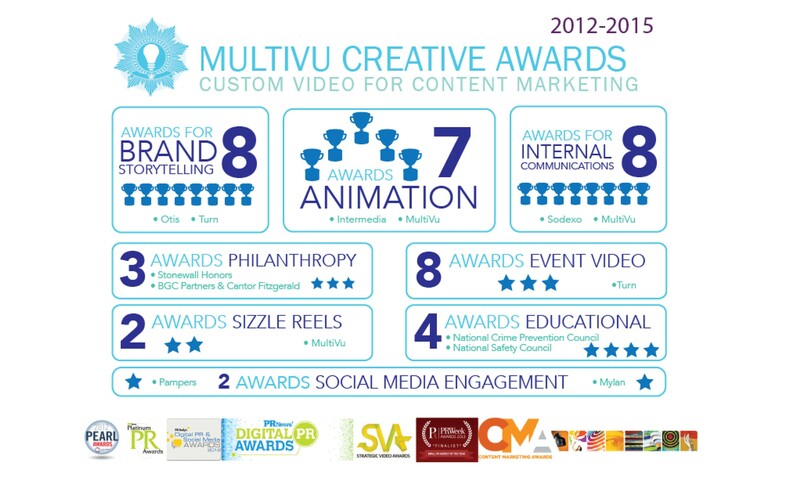 MultiVu Creative’s consultative and holistic approach helps you manage the creative process every step of the way. From concept development, scripting and storyboards, to complete animation or on-location shoots, and through post production, our team of creative experts guide you all the way. Work with our award-winning, experienced team of producers, designers and editors to customize your project and meet your communication goals. Leverage our extensive “black book” to recruit specific talent to execute your vision – writers, actors, voice over specialists, etc. Create an assortment of creative content to support your goals – social media packages, branded content, internal messaging, highlight reels, and online videos. 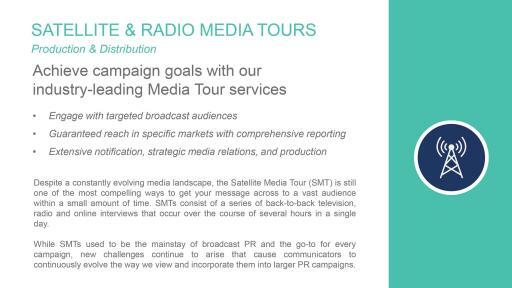 Deliver your story to targeted audiences in television and radio markets, as well as to influential bloggers, across the country by consulting with MultiVu, the industry leader for satellite media tours and radio media tours. With our focused, “one-stop-shop” approach, our experienced team of industry experts will work to develop the most effective strategy for you key messaging and story, helping you achieve your campaign objectives and ROI goals. Partner with our experienced staff, who have launched hundreds of tours worldwide, to execute on your custom project from start to finish. Look to our team, which has wide-ranging experience from start-ups to Fortune 500 leaders, to assure your message is properly pitched and delivered to key targeted audiences. Evaluate your success with a comprehensive follow-up program to review your reports and media pickup. 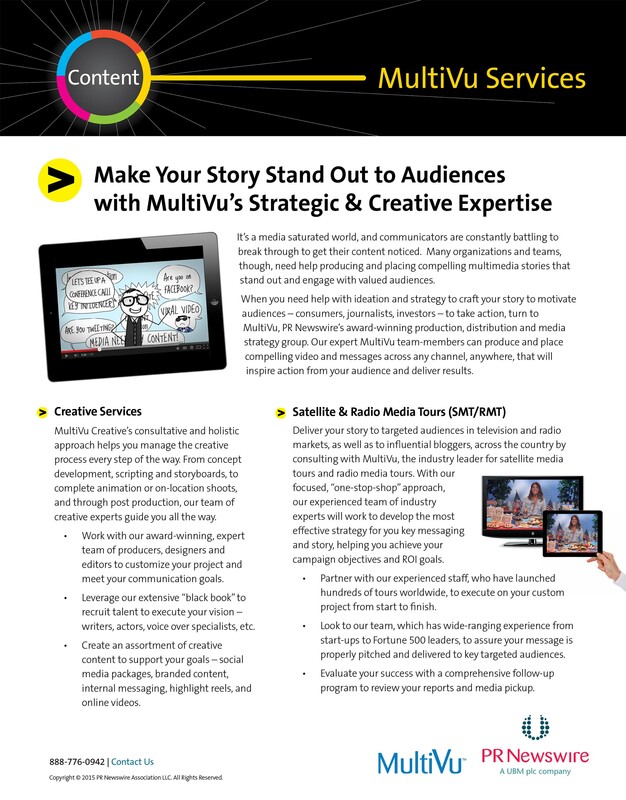 Target audiences no matter where they are – and boost awareness for your brand messages, uncover new audiences and meet your communications goals when you work with MultiVu’s experienced strategic media placement and distribution team. Place your message in-front of your target audience with a variety of digital out-of-home, online or broadcast packages. Access PR Newswire’s industry-leading content distribution network to reach thousands of websites, media outlets and journalists. Collaborate closely with our skilled team to customize your project and help meet your earned media and communications goals. 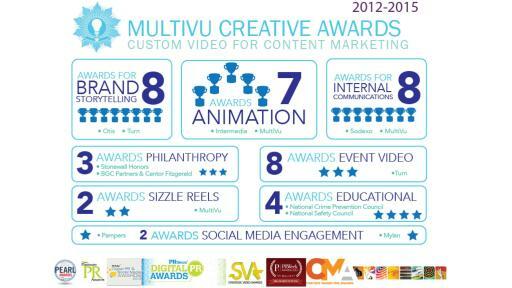 Direct attention to your cause with a customized Public Service Announcement (PSA) project developed, executed and hosted by MultiVu’s award-winning creative and media strategy teams. Consult with our talented team and execute on everything you need, from concept development to content creation and distribution, for big budget and more economical projects. 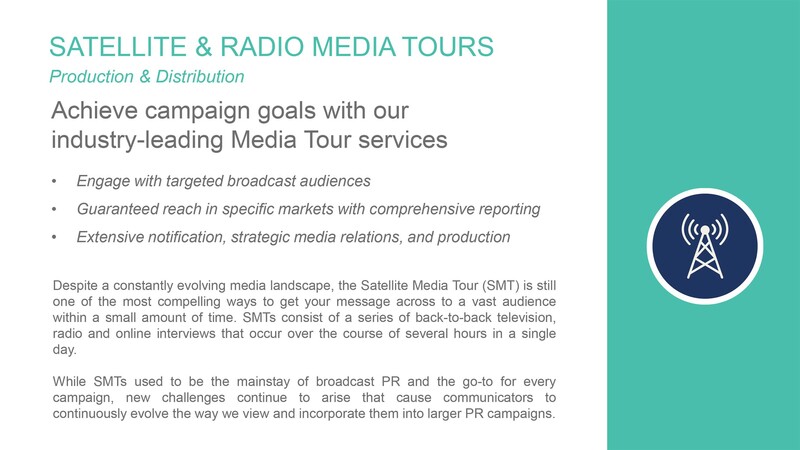 Rely on our team’s experience to develop and deliver a comprehensive pitch to targeted broadcast programs. Host your high quality content on our PSA Room website, targeting broadcast media outlets to view and download. 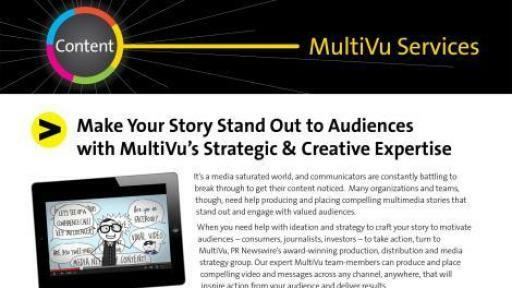 Make your story stand out and connect with your target audiences by consulting with MultiVu about our proven solutions to increase the visibility and impact of your communications.